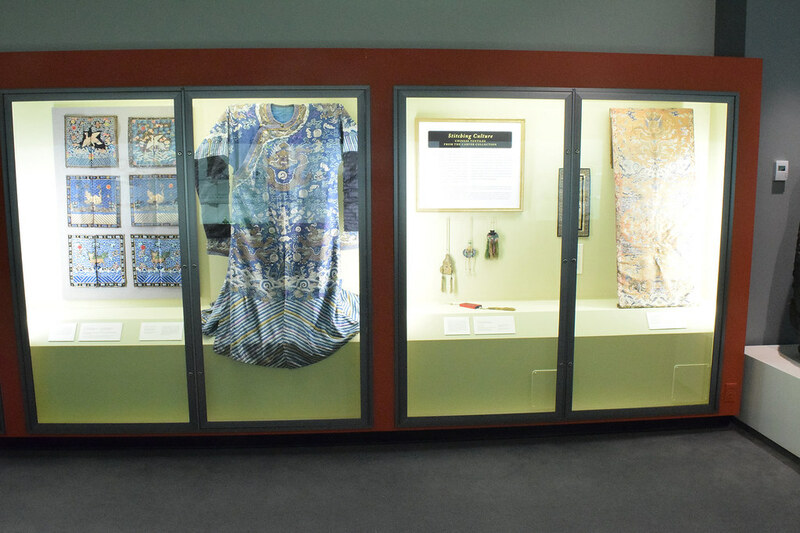 Stitching Culture: Chinese Textiles from the Carver Collection on view February 8 through December 9, 2018, in the Lora Robins Gallery of Design from Nature, features Chinese textiles from the Qing Dynasty (1644-1911), circa late nineteenth century to early twentieth century, and includes a range of silk objects: robes, rank badges, clothing, panels, and children’s apparel. 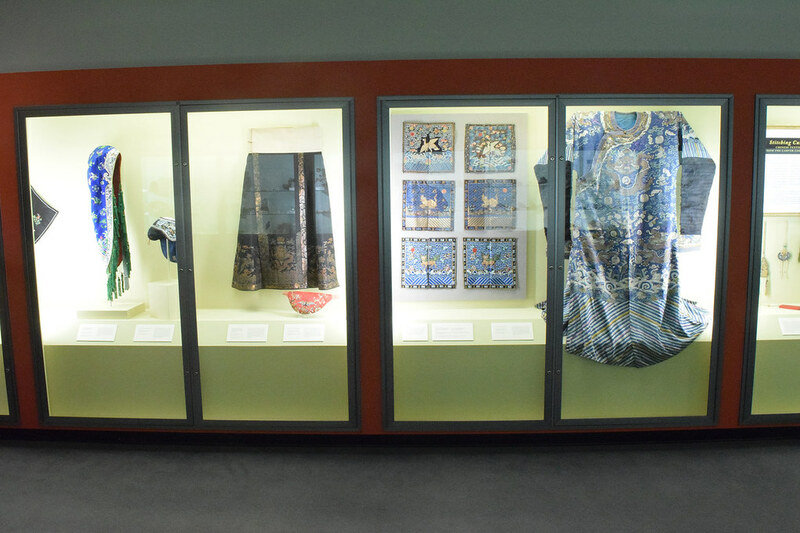 The textiles are adorned with many symbols and were selected to highlight the diversity of imagery found in Chinese works of art. 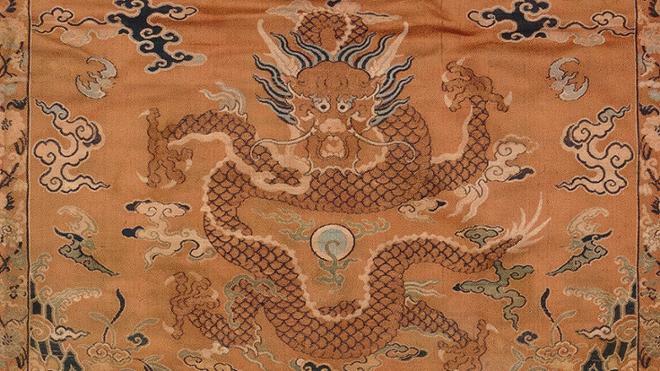 Real and mythical animals — such as dragons, phoenixes, bats, butterflies, and three-legged frogs — as well as plants, written characters, and auspicious Buddhist symbols form an intrinsic part of Chinese culture. Recently discovered in storage in Sarah Brunet Hall during campus renovations and construction, the works in the exhibition have been chosen from a gift made in 1960 of more than sixty textiles from Dr. and Mrs. David J. Carver in memory of their son David June Carver, Jr. (1916-1948). 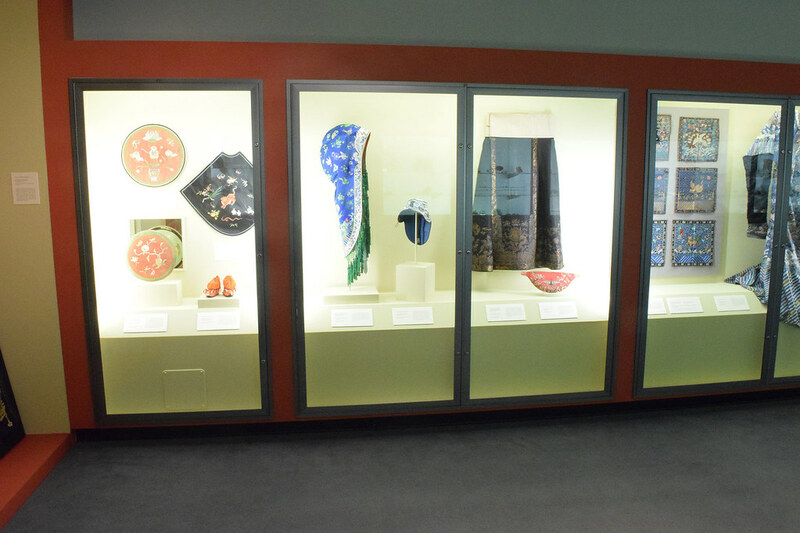 The textiles have joined their gift of Chinese ceramics to comprise the Carver Collection in the permanent collection of the Lora Robins Gallery, University Museums. Sunday, February 11, 2018, 2 to 3 p.m.
Sunday, April 15, 2018, 1 to 3 p.m.